After harvesting in mid July this season’s garlic crop from two small raised beds, this backyard gardener decided to plant a fall crop of bush beans in those beds. 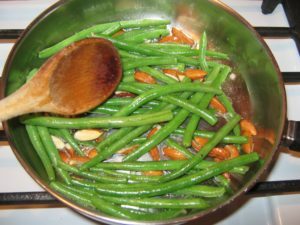 One reason to plant a fall crop of beans is to have fresh from the garden green beans to cook up in tomato sauce made with some of my seasonal crop of heirloom tomatoes. 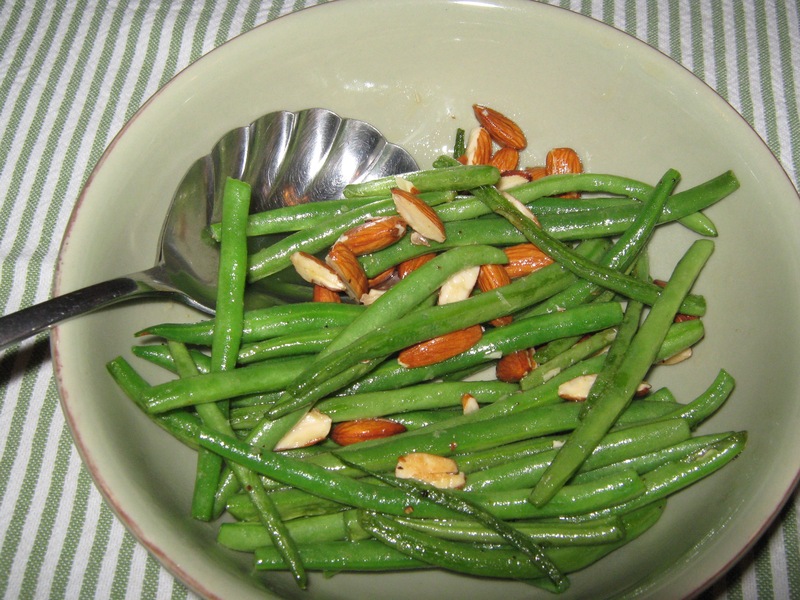 With some grated, sharp farmstead cheese, the beans make for a tasty dish to enjoy for supper; The other is to improve the soil by fixing nitrogen from growing beans. 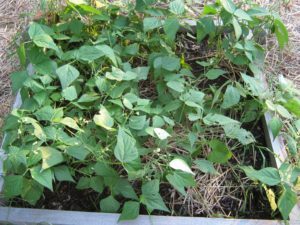 The Tilth Alliance based in Seattle provides many resources for gardeners on its website including this explanation on how legumes (beans, peas, clovers, vetches) “fix” nitrogen in the soil. These crops “grow in a symbiotic relationship with soil-dwelling bacteria (called rhizobium) which take “gaseous nitrogen from the air [into] the soil and feed this nitrogen to the legumes [by storing it in the plant’s roots]; in exchange the plant provides carbohydrates to the bacteria.” When the legumes “are turned under the soil,” they provide a certain amount of nitrogen to the soil for the next crop. Serendipitously, the Honest Weight Food Co-op in my hometown of Albany in upstate New York was running a sale on its organic vegetable seeds in late July at 99 cents a seed packet. 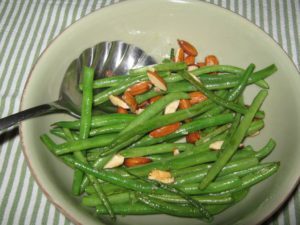 I decided to plant Fedco Seeds’ Maxibel Bush Haricot Vert (haricot vert means green bean in French) described as uniform dark green fancy 6-8″ pods of exceptional length, ramrod straightness and superb taste and a gourmet market specialty in one raised bed. In the second raised bed where I had also grown this season’s crop of garlic, I planted Hudson Valley Seed Library’s Red Swan Bean described as red-dusted, richly-flavored snap beans on open-habit, showy bush plants. 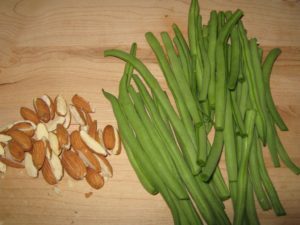 The packet of Red Swan Beans contained 25 seeds and noted 55 days to harvest; the packet of Haricot Vert beans contained 1/2 oz of seeds, more than sufficient for the small raised bed, and noted 61 days to harvest. 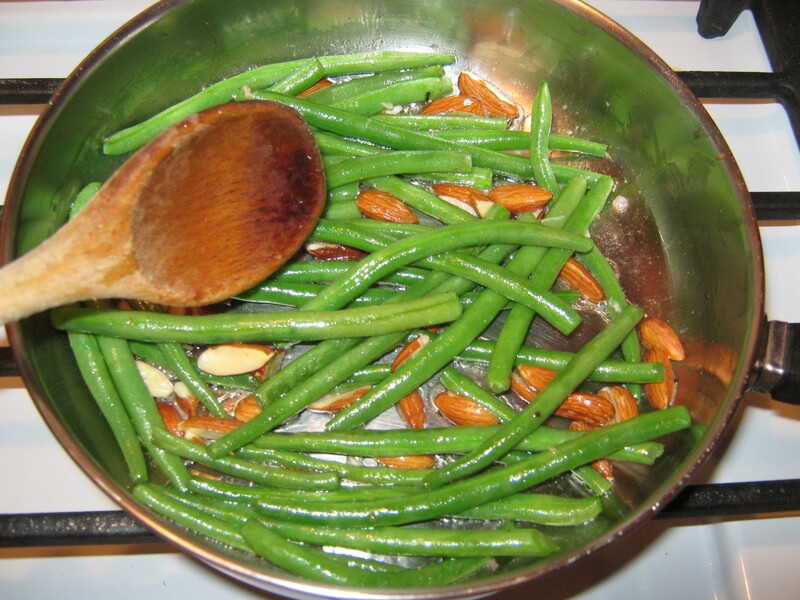 By early October, I was picking haricot vert beans to cook up fresh for dinner. 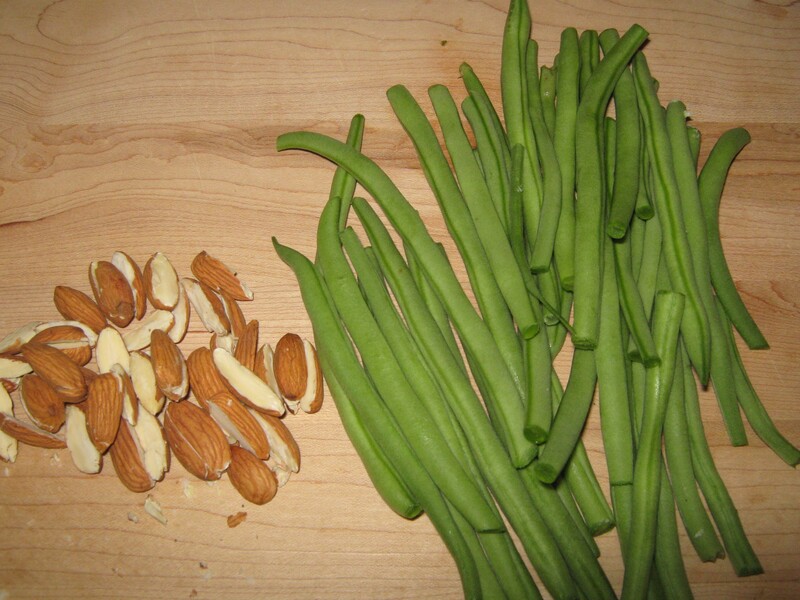 With a weekly CSA (community supported agriculture) share in Roxbury Farm’s (located in Kinderhook, Columbia County, NY) bounty, including green beans from time to time, it made sense for me to grow the Red Swan Beans for drying and to replant them early next spring in a raised bed where I had grown tomatoes this season. Fedco’s Haricot Vert beans are described further on Fedco Seeds’ website by a gardener as “one of the wonders of the world” and she couldn’t believe “how long these green crunchy slivers stand on the little plants.” Another gardener noted that she picked them every other day to ensure their “tenderness.” And wonderful, tender and delicious are good ways to describe these beans when freshly prepared almondine as per this simple recipe. This cook shops the bulk food department of the Honest Weight Food Co-0p, with its nearly 1000 bins of bulk food. Organic & raw whole California almonds are priced very reasonably at $12.99 per pound. 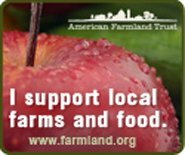 (A consumer need not pay for unnecessary packaging and the cost of brand marketing when shopping a bulk food section of a food co-op!) A local farmstead butter from Kriemhild Dairy in Hamilton (Madison County, NY), also available at my food co-op, is favored.